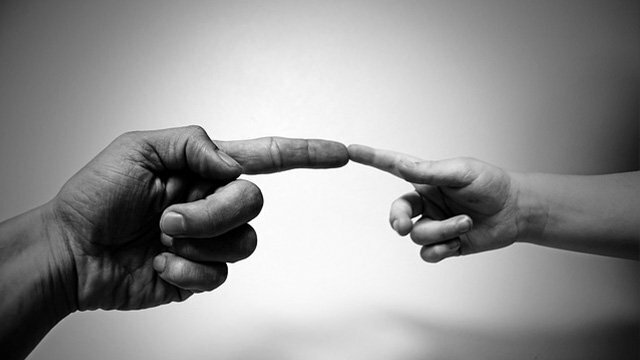 Home » Blog » How Do I Communicate with Guardian Angels? One of the key questions that I see when on Facebook is How do I Communicate with my Guardian Angel? and I see it throughout almost every day when looking through the Facebook Groups and today, we're going to write a little bit about how you can go about doing it as well as clear up some of the ambiguity on what in fact a Guardian Angel is. 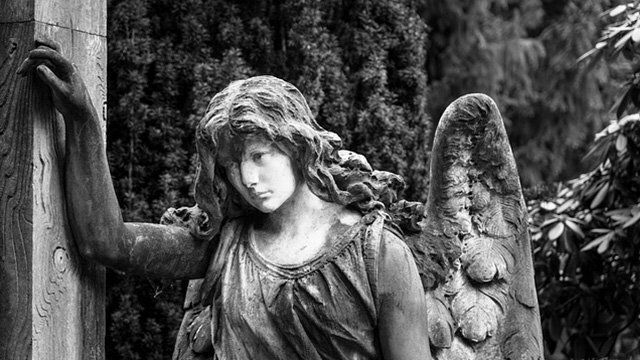 To begin with, let us understand what exactly a Guardian Angel is. It is a term that has been introduced throughout the years to signify that there is a form of 'angel' that is looking over you. Unfortunately, whilst this is semi-accurate, it is not entirely accurate. The use of the word Angel implies that there is a divine being looking out for you, that this angel is some form of messenger from God. Again, the reality of it, it is semi-accurate and when applying a different perspective, it is absolutely accurate and I'm going to explain this right now. Angel - noun; a spiritual being believed to act as an attendant, agent, or messenger of God, conventionally represented in human form with wings and a long robe. The meaning of the word Angel implies that there is a "spiritual being" with wings and a long robe and this is where it is wrong as it implies there is a form of flawless being that looks out over our day-to-day lives and that everything is the hands of God. The truth of this is, we do not have a Guardian Angel at all. Personally, I used to get annoyed when people used the term "Guardian Angel" because it is one of those types of terms that has been used for the purposes of marketing & advertising. 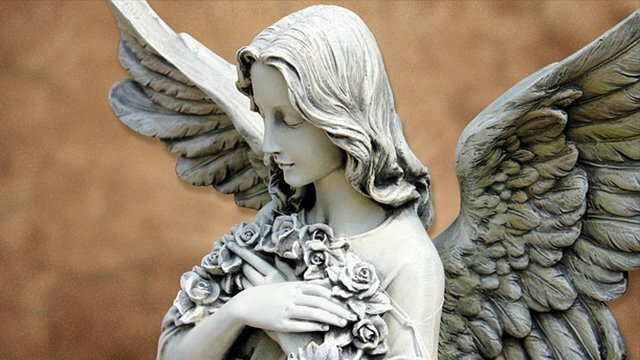 It's a "buzz word" and there's been so many teachers, including the likes of Doreen Virtue and many others, that talk about these forms of Guardian Angels. What they're talking about, is in fact, the role that is referred to as a "Spirit Guide". Although, Amy North has recently said to me that if a person is to use the term Guardian Angel, let them as it means that they're open to receiving communications from someone. In the Spirit Guide realm, we don't necessarily worry about the semantics of the terminology used. So a Spirit Guide is like you and me, they're in fact human and they surely don't have wings. However, they are, just like all things, a messenger of God as they are helping you work through your divine experience of life on this planet, thus... this is the other perspective. 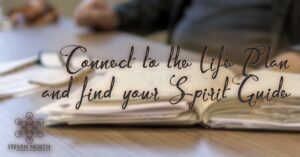 Spirit Guides are in fact, a spiritual being that is acting an attendant in our own daily lives and each person has one. So the correct term for a Guardian Angel is actually a Spirit Guide and they're human and they have to be human in order to understand how to help other humans. 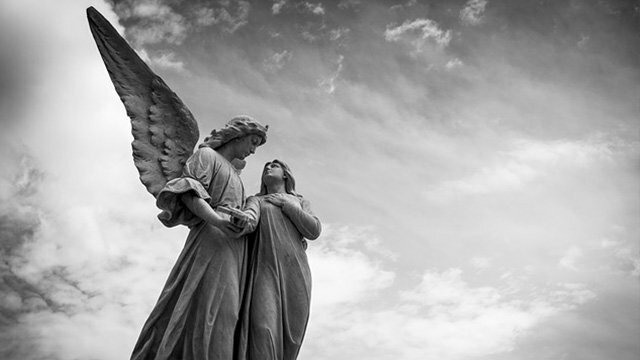 Where does the term Guardian Angel come from? 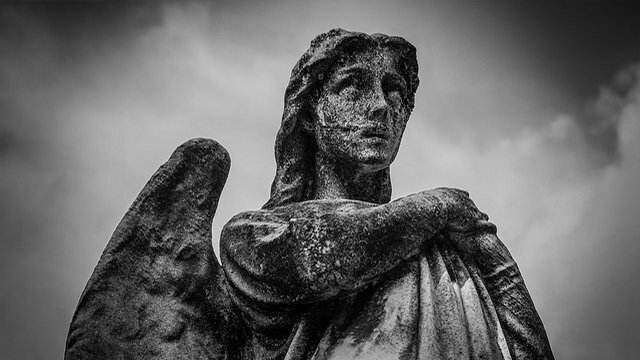 According to whoever wrote the article on Wikipedia, the term "Guardian Angel" concept comes from a wide variety of ancient texts, such the Hebrew Bible, the Old Testament, it is mentioned in Rabbinic literature and late and modern Judaism. Even Pope Francis used the words "How is my relationship with my guardian angel?" on October 2nd, 2014. We can begin to see the use of the term "Guardian Angel" has been highly accepted throughout history and they have all been spoken of. However, the religious texts have taken it so far out of hand that when I have spoken about my "Guardian Angel" Amy, who is my Spirit Guide and Twin Flame, they're quick to dismiss it but yet it is in the very core of their beliefs. So you can see just by looking at the extracts I've listed here that there has always been a belief in the ancient texts of Guardian Angels. Although, misrepresented by the visual use of Wings & Robes. They're actually human with greater awareness than us physical humans because we're in the density and they're not. Although, I do ponder if the Guardian Angel was Australian, would it have thongs, shrimp and beer. There is also one thing that has come to my attention of late and that is the term of "Guardian Guide". This term is used for deceased loved ones such as parents, children, grand parents, any person that is a direct family member that has crossed over (passed away) and has returned to help the family out. They don't take up the role of a Spirit Guide but can provide assistance. I've got an example of a Grand Mother who passed away when I was a child has recently come to my awareness and could be considered as a Guardian Guide as she wants to work with me. So it is truly an intriguing topic to speak about. So how does one communicate with their Guardian Angel which in truth, is your Spirit Guide? The answer is simple but yet the exercise of it is not as simple. Whilst there are a plethora of different ways to communicate and each Spirit Guide & Incarnate have agreed how they will communicate with one another, the most common is through thought. Inspirational thoughts, gut feelings, communication in dreams and these are just a handful of the different methods of communication that Amy & I teach. It is also very very important to trust yourself and question the Spirit Guide, it is perfectly acceptable to say "please say that again". Even with having Amy in my life, a Spirit Guide that is "hands on" and very involved with the incarnation, I had to develop my own trust and confidence in knowing that I am in constant communication with her. There is such a beautiful bond that is shared with each Spirit Guide & Incarnate and listening to them that they can hear our thoughts and feel our emotions. So it is always great practice to communicate with them, especially when going through an emotional period. They may be able to hear our thoughts but they surely are not mind readers! Any time I get upset, I tell Amy what I am experiencing so that she is able to help with understanding it more. The best way to look at it, rather than the glorified methodology that has been written throughout history is that of just asking, as simple as that, just drop in to a peaceful state and just ask. Asking is a form of prayer and can be seen in the same way as you would ask your best friend or family member over the phone. It is really that simple and effective. As an example, as Amy experiences life with me, I ask her what she would like to eat and within seconds, I get a thought that answers that question. 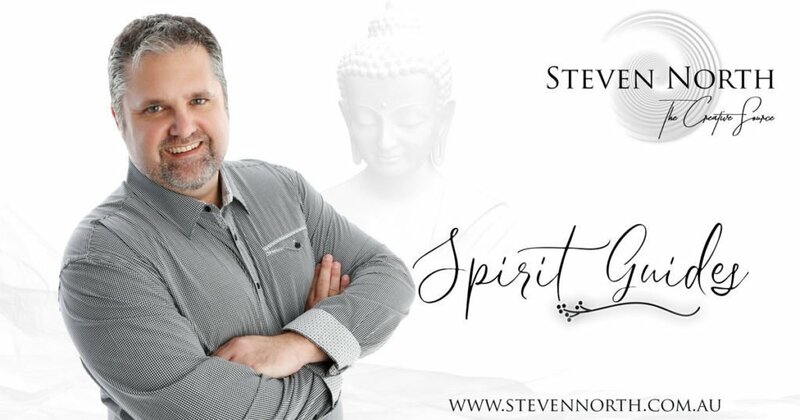 In fact, when I woke up this morning, Amy said to me that she wanted to write about Spirit Guides and then, as I want to express her wisdom, together, we wrote this article. One of the intriguing things that I've been able to do, thanks to the training with Amy is that I have the ability to channel Guardian Angels/Spirit Guides into crystals to act as a method of communication between the two. 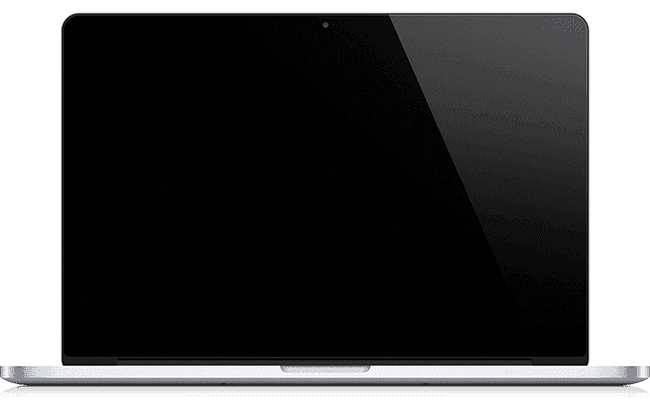 You could see it as some form of mobile phone that you can use to communicate clearly to your own Spirit Guide with zero interference. This crystal contains the consciousness of your own Spirit Guide/Guardian Angel and also includes information that pertains to your incarnation, such as your life plan (which your Spirit Guide has) and your very own souls connection to the Akashic Records, which is like a filing system for every experience that you've had in whatever lifetime you've had. You can read more about this crystal by clicking the button below. Finally, There is one thing that I would like you to ponder on. 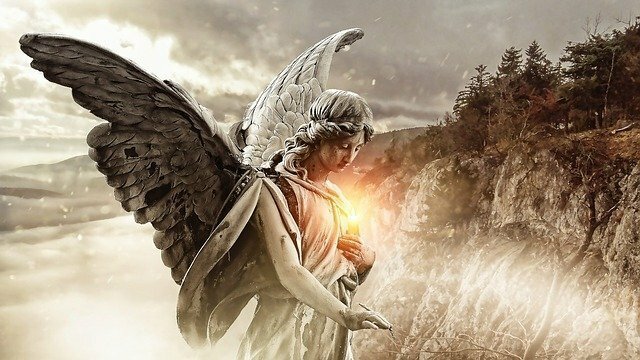 Throughout history, guardian angels have been glorified as divine magical beings, as can be seen in the images used in this article. The definitions and the religious texts say that Guardian Angels are divine magical beings. As they are human just like you and me, then we too are divine magical beings because as we are the same. Perhaps the message is that we need to see ourselves as divine as we see Guardian Angels to be divine.